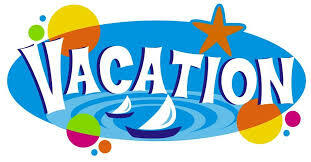 I’m leaving for vacation tomorrow…I should be very excited. We haven't been on vacation in four years and we’re going to see my dad, who lives a whopping 5,000 miles from us. We’re going on a cruise—neat! We’re going to see Alaska. How wonderful does all this sound? Yes, I should be excited, but instead I’m anxious and worried. Ryan is a “runner” and an escape artist. We’ll be on a ship on the open ocean and Ryan knows no fear. And we had little enough sense to get a balcony room that opens to the outside—and the ocean. I do not envision enjoying a deep sleep on this trip. Failing to wake if Ryan decides to elope and take a midnight stroll could have tragic results. The word “elopement” connotes hearts and flowers, but it does not have a romantic significance to the autism community. Our children have a strong desire to wander and are all too frequently stealthy about it. They seem to have a sixth sense that alerts them when attention is divided. When out with Ryan I try always to hold his hand, but there are times when I simply can’t. During those times Ryan will either bolt and run off, or quietly slip away. I have already ordered my Big Red Safety Box, but it won’t help me on this trip. 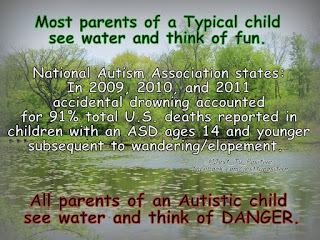 Autistic children are drawn to the water and Ryan is no exception. 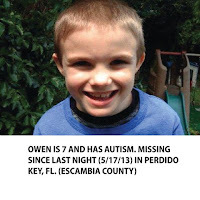 Fueling my fears is the recent drowning of two autistic children in the past two weeks, Owen Black (age 7) in Pensacola, Florida and Mikaela Lynch (age 9) in Clearwater, California. Two beautiful lives cut short. Owen or Mikaela could be my child and that thought has me on constant high-alert, always needing to know exactly where Ryan is and who has their eyes on him. 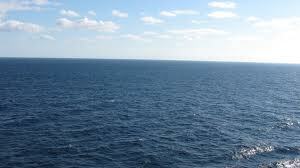 Home at least has a modicum of predictability about it…an unknown ship surrounded on all sides of water does not. 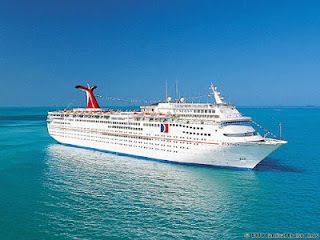 I’ve been asked so many times if I’m looking forward to our cruise, and usually I’ll smile and say how excited I am. The truth is quite the opposite. I am looking forward to the family time, but am most anticipating our landing back in Honolulu and coming back home where I better understand the ways Ryan can escape and where he might run. I will enjoy our vacation in hindsight when Ryan is back in the relative safety of his home. The concept of a stressful vacation is not an oxymoron for an autism parent. Your comments remind me of my childhood in elementary school. I would leave my promoted classroom to visit a previous teacher I liked. In the '50s in a small country town we didn't know a lot about things like autism. Our daughter tries to out think her three autistic children, every day. Three autistic children...she's got her hands full! I read insensitive comments by people all the time after an autistic child elopes saying the parents "need to watch their children properly". Well, we do but sometimes we need to tend to our other children or, heck, use the bathroom. If I take my eyes off Ryan for a minute, he knows he doesn't have my full attention and it's then that he'll decides to slip off. Hey Janet, nice post. I'm happy that you've decided to go out. I know its kinda hard to take care of children no matter Ryan have autism, all the kids are same, they are always in mood to play and full of energy. So I'd suggest don't think Ryan is different and you need to put more efforts to take care of him. I know I've said too much, maybe I'm not much of experienced. But I'm glad that you are taking such responsibility and trying hard to make thing okay. It feels nice reading your posts. I'm surly gonna visit again. For information on autism and speech language disorder visit the link below. Thanks for your comment, Tyra--I did check out the link you posted. Always interesting to see how other countries approach autism and apraxia of speech. Ryan is my fourth child and he is different--not less, just different. He is the adored "baby" of the family and brings us a lot of joy, but he is different. My other children did not try to stage "break-outs" on a regular basis, as if this is a prison! Autistic children elope at an alarming rate, frequently with tragic consequences. 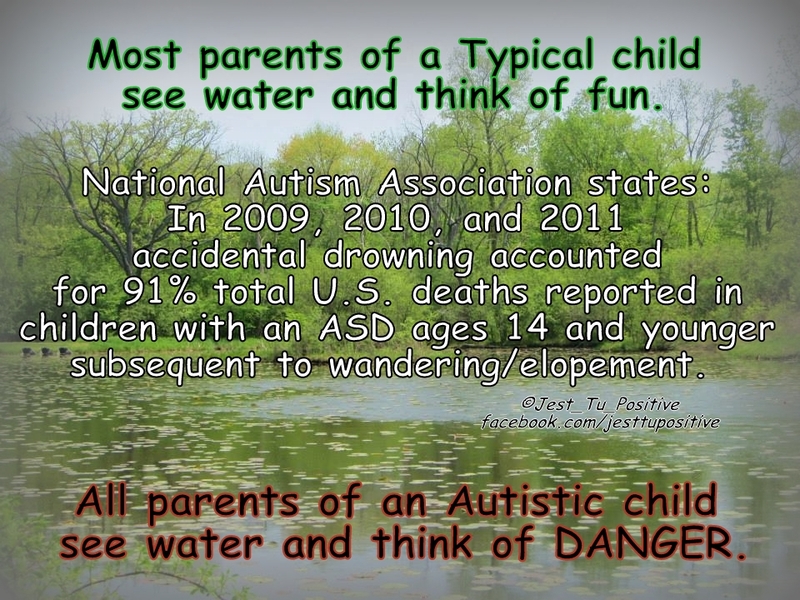 In the States there have been about 15 autistic kids this year that I know of who wandered off and drowned or were struck by cars and killed. It is a huge problem for the autism community. Just last month I had to call 911 when Ryan out-smarted us and was able to escape our property, which is walled off. Because he has autism, he doesn't respond to his name when called and we live near the ocean--a huge attraction for him. It is terrifying when it happens and he is watched closely--but it only takes a second to be distracted with another child, or cooking dinner, or just urgently needing to pee, and he is gone. It's like having a young toddler without any fear of danger but with cunning, speed and coordination. He's a child, in some ways like any other, but he is different. To forget that could result in tragedy. We can never truly relax--Ryan still sleeps between my husband and me at night and one of us keeps a hand on him. I don't see this situation changing any time soon, unfortunately.